The victim, so far identified by only his first name, Vinod, was killed while he was leaving the court after a hearing. Prisoner shot in Rohini: Incident happened in corridor when undertrial was being taken back from court. New Delhi: A prisoner who the police was escorting for a hearing in a court in Delhi has died after being shot at. 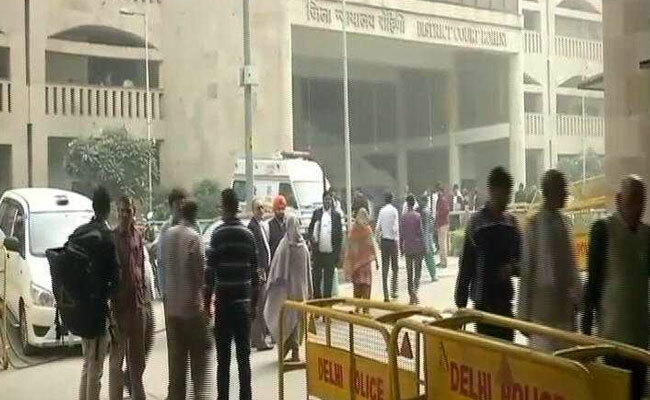 The gunman has been arrested at the Rohini court complex in northwest Delhi. The victim, so far identified by only his first name, Vinod, was killed while he was leaving the court after a hearing. "The incident happened in the corridor near the canteen area when the undertrial was being taken back from the court, police said. He was rushed to a nearby hospital where he was declared brought dead," reported the Hindustan Times. The shooter is suspected to have posed as a litigant, reported another website. In April, a prisoner being tried for murder was killed by a man on a motorcycle as he was brought to the same court by the Haryana police.